A phenomenal example of the contemporary medical technology has come up, yet again, and this time it's targeting one of the most frequently performed tests such as blood tests and urinalysis. Basically, a mobile version of the "Enzyme-Linked Immunosorbent Assay" (ELISA), the gold standard technique for detecting the presence of an antibody or antigen in a sample was created by a group of researchers at the Researchers at the University of South Florida in Tampa. The basic method named "ELISA" is critical for the biochemical analysis of proteins and hormones and diagnosing HIV and Lyme Disease, as told by Anna Pyayt, Ph.D. and an assistant professor at the University of South Florida College of Engineering. 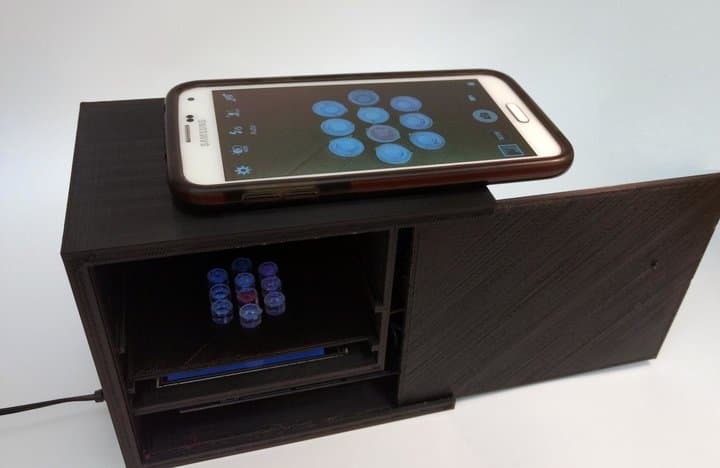 However, the team has innovated a novel application that not only minimizes the number of instruments involved but also redefines it as a portable device. As explained in the official publication, the previous method had to be fulfilled using bulky and expensive parts. The Mobile Enzyme-Linked Immunosorbent Assay (MELISA), the research we are talking about was able to measure progesterone levels, which can indicate female fertility and detects some cancers. The instrument facility is nothing but a water bath heater that incubates samples at an already set temperature and tests the samples using the mobile phone images. Using the color analysis technique via which RGB (red, green, blue) colors are determined, the analysis is performed with the scope of further analysis for the Blue color, having higher sensitivity to the changes in progesterone concentration. Dr. Pyayt has further mentioned that with this biomedical testing device, the healthcare system would immensely improve since this would give warning signals much before compared to a lab test. Weighing one pound, this device is currently undergoing further tests with testosterone and soon may find its place in clinics. The corresponding article has been published in the article just published in Biosensors and Bioelectronics journal.